Germantown, Tennessee--February 23, 2019--Two mornings a week from 5am to 6am you’ll find Houston High School Junior Daniel West in the swimming pool. After EVERY day of school, where he is both an Honors Academy student and a beta club member, he heads back to the pool to continue training for two more hours. Add in a three-hour training session on Saturdays, and you’ll have an idea of what it takes to become a state champion. “Consistency is key,” says West. “Just like working consistently hard in school to make good grades, if you train with consistency—it pays off,” he explained. Last month, he broke a new Houston Swim record with a 0:55:74 time in the Men’s 100 Breaststroke at the state championship. 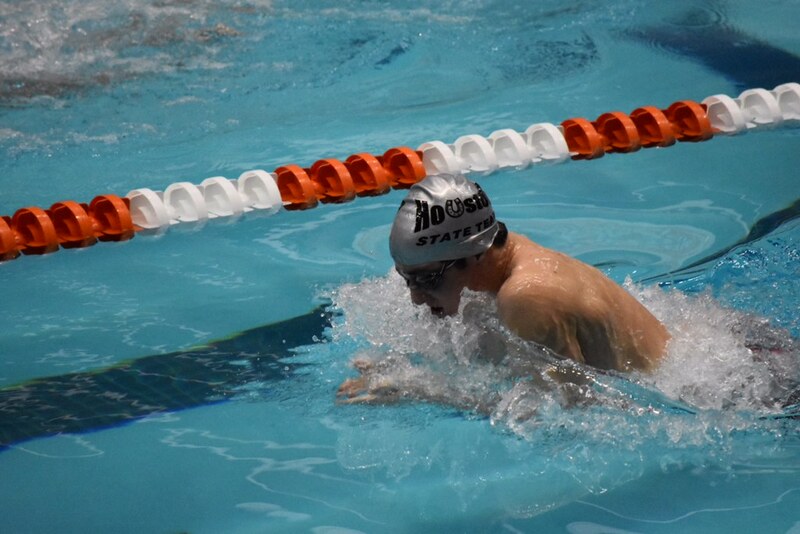 With this swim, in addition to securing him a spot on the All-American team, he currently ranks among the top 30 fastest breaststrokers in his class. Not only does he compete on the state level, but also the national level, earning both Jr. National and National level times. Daniel has been swimming since the age of 9 and swims for both Houston High School as well as Memphis Thunder. 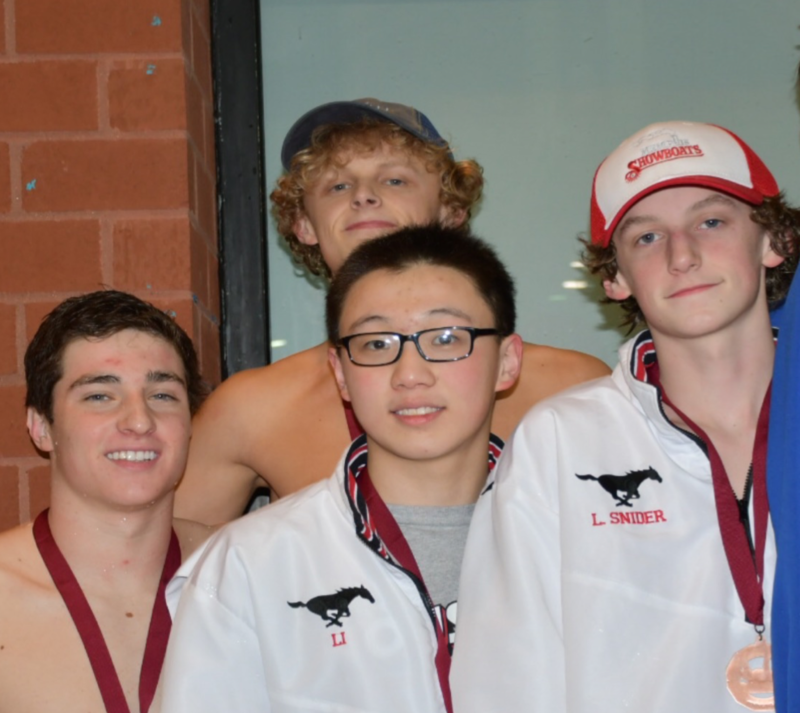 He and his Houston High teammates recently sent 13 swimmers to the Tennessee state competition. Besides West, Eva Kerr also broke a school record with her time of 1:00:07 in the Women’s 100 Fly. Both the men and women’s relay teams also placed.